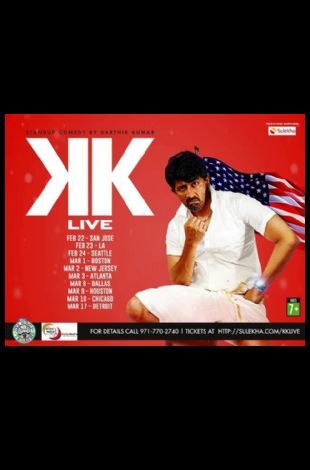 Please note Karthik Kumar Live Stand up Comedy occurred in past. The (retired) American Mapillai returns to USA! 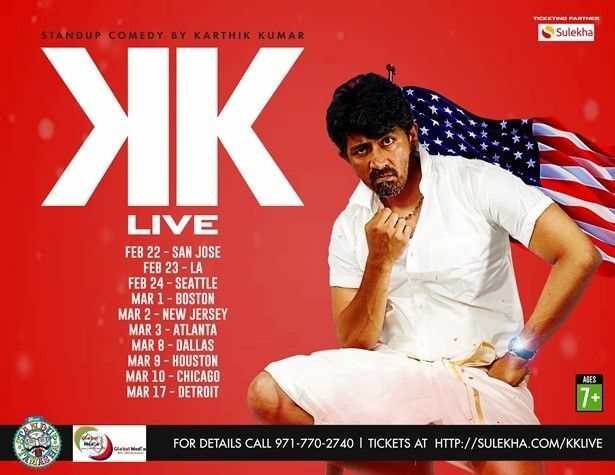 KK Live is the new tour of Karthik Kumar - bringing with him his signature style and punchlines that will take you back to the flavors of South India while making you laugh out loud! KK is one of the most experienced comics in India, with 3 standup specials under his belt. His videos have gathered more than 10 million views on YouTube and his last show, Blood Chutney is currently streaming in Amazon Prime and has gotten rave reviews across the board. -the show features no content that is available online -the show is open for ages 7 and above.